If you grew up in Chicago with a big city mayor as a dad, why would you leave it all behind and be a loner in Russia. The kid is messed up. And on the run. These are not name calling, they are facts. Steroids? I agree. (Response) I have been sent many pictures with Pat Daley in some crazy situations. I think he has some weird friends including some freak from Latin School. I think in all fairness I will post them later. Patrick Daley has issues. Why go to the army. A sick mom, a jerk mayor for a dad. Something aint right about this. Snead says he enlisted again. This could be the indictment coming. Or he worked out a quiet deal to avoid jail by enlisting. And I think Bush worked it out. What about the nephew. These jerks skate all the time. War games . . .
Dateline: The Heartline — Mayor Daley’s disclosure that his son, Patrick, was being activated by the Army and redeployed to an undisclosed location was no surprise to Sneed. To wit: Sneed hears Patrick had talked about re-upping shortly after he left the service in October of 2008 after serving in Afghanistan with the Army’s 82nd Airborne Division. • The downshot: Heading back into the service comes at a hard time for the family dealing with Maggie Daley’s battle with cancer. Pat, If you are going to have a reponse, make it accurate. He didnt go to Latin School, he went to University of Chicago Lab. You know it wasn’t to long ago that if you commited a crime you could be sentenced to military service. Your punishment was the military. Many of our fathers friends (age group only) were given this option for non-violent crimes. That being said, Patrick Daley has never, NEVER been arrested or convicted of a crime and voluntarly joined the Army (At a time of WAR) to serve his country. I know you and everyone else on this blog has an axe to grind with the Mayor, but unitl his son is arrested, a warrant for his arrest or convicted, you should refrain from using him as an example. I respect and honor the service that Patrick Daley and all other Service men and woman give to this country. We should show them respect, even if we dont respect their parents. Last, pictures are relevant to what? Steriods? Because he works out he is on Steroids? Where is the proof! Slander is what you are commiting and if you are a true journalist, you could be held liable for slander. I think it is time for everyone to talk fact, not what they think to be factual. You know how law suites work and you may be on the receiving end some day. Watch what you allow to be published. (Response) I am not talking about Paddy Daley oing to Latin, he did not. He has a family friend the Daley’s are smitten with. This dude uses the Daley family. Thanks for the concern with Paddy Daley, he will be just fine, really fine! I thought you would have enough respect to post your name. Silly! This is the guy that beat someone with a baseball bat? wait wait, this is the guy that Mike R$&^* went to jail for? This is what I heard thru the grapevine, But I thought you can not enter the army with a police record? but then again he’s the Mayors son right? something is not right Patrick, and what about that frickin as****e T*&^$, He should of been fired, WTF Pat, where is the fricken news media about that, where is Fran Spielman? Mark Nowak? where the hell are these reporters at? This is a major story here Pat!!!!!!!!! coruption at its best—– T@$#%–(Response) We know who took the fall for Mr. Tatoo. We know how he got his job. Relax. I saw pictures of the kid with his shirt off and he has muscles and a fat stomach. So he is not faithfully traning.Either steroids or to be fair, Tons of protein shakes, amino acids and creatine. BOY PAT HE IS RIPPED,YOU THINK YOU CAN GET HIM TO RIDE ON YOUR FLOAT THIS YEAR. (Response) If you move over a little bit (just a little bit) I think we can make room for another. There”s a lot of contreversy with this friggin kid, and he is just out there having a ball, vacationing in Europe, seeing the sites. This all takes money. And the kid took the money. WTF aint nuttin happenin to this ogor either. There is a payoff for a favor up high somewhere. Or this kid could be the final nail in Daleys political coffin. But I think the meter mess pounded that one in. I am curious to see what the mayor does to his competition this mayor election season. Dirty. This guy aint ever gonna see heaven. He pissed on the poor. The devil has a special place for him. The pits of hell. The kid has no sense of his roots. He bounces around like a feather in the wind. He will never be mayor. Allegedly Unstable!!!!! I think Daley is finally getting tossed out of office. And the tea party people backlash will help sweep him out. hey maybe he should join the tigers up in michigan. i hear he swings a mean bat. he would feel right at home. They have hidden this kid away out of state because he seems to be unstable in some ways. And the feds are onto him. Daley must fear that the kid can’t handle himself around the local press. He hangs around with a Russian multi millionaire who got a lot of favors done in Chicago, he hangs around with Billy Deck who is a night lifer and drinker, his best friend and only person other than his parents who saw him off to the army was Oscar (million dollar Ohare crony fee taker) D’Angelo. Nothing seems to be up and up about all of this. Where does he get all his money? These are questions the media should be asking. This mayor is not getting re elected. And it will frost his tan when he loses. They seem to be hiding this kid. 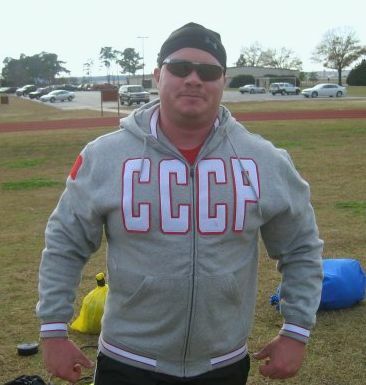 The reason he was so suddenly shipped away- Army, then Russia- may be related to grumblings and thus far unsubstantiated rumor that it was Patrick- and not RJ Vanecko- who delivered the beating to David Koschman that wound up killing him.